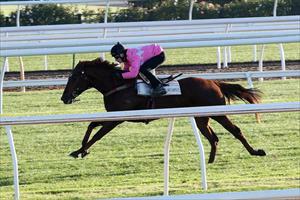 Just one runner for the stable on Tuesday with Outback Warrior heading to Geelong to make his debut. Outback Warrior is in race two, the 3YO Maiden Plate over 1200m where he will be ridden by James Winks and jump from barrier eight. The son of Toorak Toff has been well prepared and showed good speed to win his latest 800m jumpout by a clear margin at Flemington. Mike Moroney has been patient with Outback Warrior but is expecting it to be rewarded. “He’s been showing us some ability and his last jumpout was particularly pleasing,” Moroney said. “His work since has been up to the mark and despite him being drawn wide I do think he will be hard to beat.